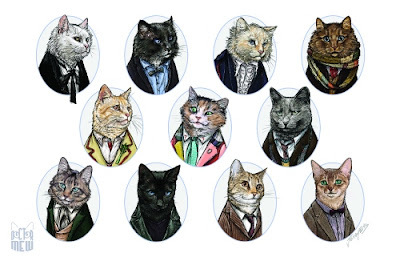 Another gratuitous Doctor Who Cat Thursday (courtesy of Lolcats)...All 11 "Doctor Who" doctors illustrated as cats. Love it! Doctor Who is back this weekend...can't wait! These are very stately gentlemen. Should I bow?? 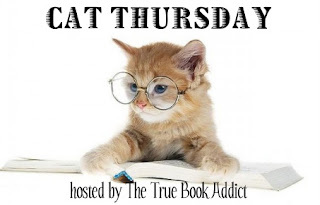 I almost used the same graphic this week. LOL Love it! Very cool; looks good on your blog! Thanks for hosting, Michelle - as always, it's a pleasure to stop by, not only to see the kitties, but also to sse what you're reading!